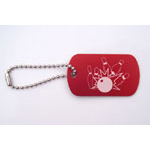 These brightly colored bag tags make unique gifts for the bowling champ in your life. 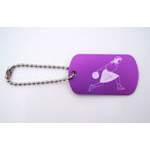 The images on these quality bag tags are laser-etched on to one side of a colored 1-1/8"x2" anodized aluminum pendant. 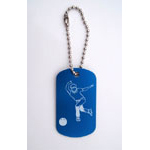 Your custom text can be engraved on the reverse side for free! 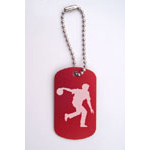 The 4-1/2" nickel-plated ball chain is sturdy and well made. 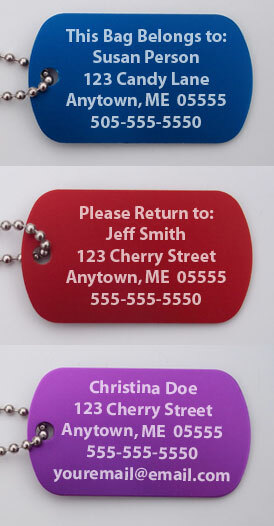 All of our Bag Tags are 100% made in the USA! Choose from 3 colors.